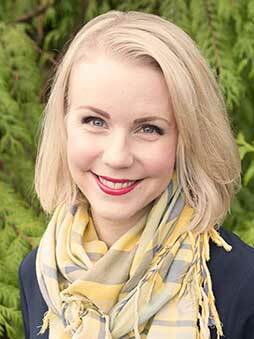 Leah Payne (PhD, Vanderbilt University) is assistant professor of theological studies at George Fox University and Portland Seminary. She is also a senior fellow at the Louisville Institute and a Faculty Fellow at the William Penn Honors Program. Her first book, Gender and Pentecostal Revivalism: Making a Female Ministry in the Early Twentieth Century (Palgrave, 2015), won the 2016 Pneuma: The Journal of the Society for Pentecostal Studies Book Award. Her second book explores the development of political theology in American Charismatic Christianity. In 2015, she and three other colleagues received a Lilly Endowment, Inc. High School Youth Theology Initiative grant to cofound Theologia: The George Fox University Summer Theology Institute, which began in 2017. In 2017, she and four additional colleagues received a $1 million grant from the Lilly Endowment to create an Institute for Pastoral Thriving at Portland Seminary, which began in 2018. Her work analyzing religion and popular culture has appeared in The Washington Post and Christianity Today. She is also co-host of Weird Religion, a podcast about religion and popular culture. She currently serves the Foursquare Church as a commissioner on the Foursquare Education Commission.